The principlist news agency urges two university professors to read a book by an American investigative journalist to find answers to their questions. 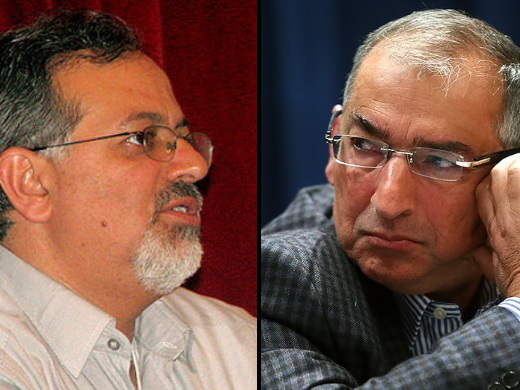 Following iconoclastic comments by Sadegh Zibakalam and Ahmad Shirzad that threw Iran’s nuclear program into doubt, Fars News Agency’s deputy editor for research has sent each a copy of Manufactured Crisis* by American investigative journalist Gareth Porter. 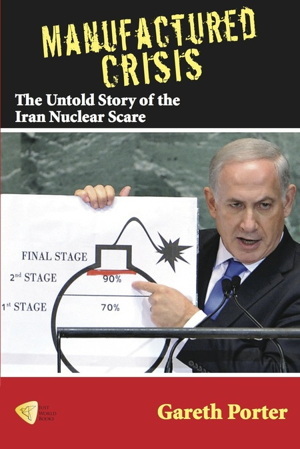 * [Amazon Description] In Manufactured Crisis, Gareth Porter brings together the results of his many years of research into Iran’s nuclear technology program. He shows that the origins of the Iran nuclear “crisis” lay not in an Iranian urge to obtain nuclear weapons but, rather, in a sustained effort by the United States and its allies to deny Iran its right, as guaranteed in the Nuclear Non-Proliferation Treaty, to have any nuclear program at all. The book highlights the impact that the United States’ alliance with Israel had on Washington’s pursuit of its Iran policy and sheds new light on the US strategy of turning the International Atomic Energy Agency into a tool of its anti-Iran policy.